How do LED’s actually work? 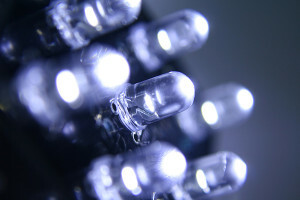 It is true, LED’s can save you a lot of money, but some of you might be wondering how LED’s actually work; this article is going to go into more detail about the technical side of LED’s and show you how they work. But be warned, it could get very scientific! LED’s actually stand for Light Emitting Diodes; now diodes are the important factor in this. 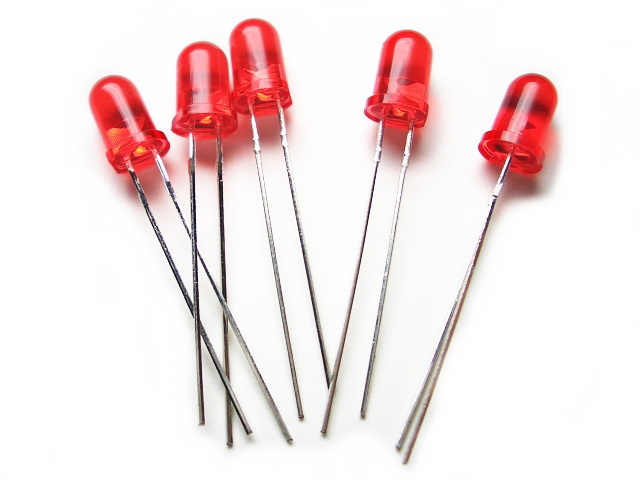 You may have heard of diodes before, they have actually been around for a long time, but their use with light is a newer development. A diode is an electrical component that allows electricity to flow through it in one direction only. 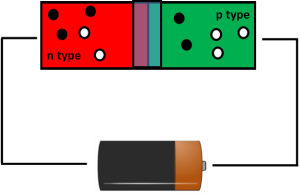 A diode contains two types of silicon – a p type and an n type (if you look at the diagram above it identifies them as red or green). When you combine them this becomes a junction diode because the extra electrons and holes that both the p type and the n type contain, will swap so normal silicon can start forming again. There is a gap in the middle of these though which is called the depletion zone where no electrons or holes enter. There are type types of junction diodes, a forward-bias or a reverse-bias. These different junction diodes occur when you attach a battery to the junction diode. When you attach the negative end of the battery to the n type silicon, the depletion zone between the p type and the n type shrinks, electrons and holes move across in opposite directions and a current flows; when this happens it is a forward-bias. The diagram below indicates some of the electrons from both the n type and p type have moved across. 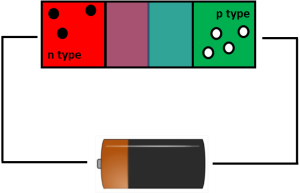 The opposite current is when the negative battery is attached to the p type, when this happens the depletion zone gets wider and prevents current from flowing. This is called reverse-bias. The opposite of what happens in a forward-bias happens here (shown in the diagram below). It is only through a forward-bias current that LED’s actually light up; the light comes from the electrons and holes moving around – when an electron combines with a hole, it disappears but creates an atom which becomes stable and gives off a photon of light. So to summarise, LED’s are diodes that are designed to emit light. At different wavelengths, LED’s can also be red or blue; for red LED’s you would need between 630-660 nanometres wavelength and for blue 430-500 nanometres wavelength. It was in these colours that LED’s were originally, but the technology has been developed for them to be available in white light now too. LED’s can also make infrared light so are often used in smoke detectors or intruder alarms. Rounded plastic bulbs to make the light brighter and more concentrated. Save a lot of energy because they don’t get hot. What are you waiting for? You have learnt how they work, you know how much they can save you money, so why haven’t you converted yet?! For any more questions or more information, please don’t hesitate to get in touch!